It takes unusual talent and persistence to create gigantic corporations, handle nationwide marketing campaigns, deal with Internet security issues along the way, and fight against all the calamities associated with network security and data loss prevention. And it takes courage to handle the massive financial losses or career reversals that can unexpectedly occur in the course of building an empire. For example, Steve Jobs was fired from the company he founded. It’s only natural to assume that these CEOs must have extraordinary mental talents to be able to invent new technological systems, detect emerging marketing trends, and make a fortune from opportunities that most people failed to notice in the first place. However, what may surprise you is that this is often not the case. A number of CEOs and entrepreneurs have learning disabilities, the most common being dyslexia. Against all reasonable assumptions, they have often managed to turn their weaknesses into strengths or found a way to make their weaknesses irrelevant. Here are four stories of famous people who have created high-tech companies that changed the world. They did not let their disabilities slow them down, and have done things most people would consider bordering on the impossible. Three famous technologists who suffered from dyslexia were Steve Jobs, who founded Apple; Bill Hewlett, who started Hewlett Packard; and John Chambers, the former CEO of Cisco Systems. 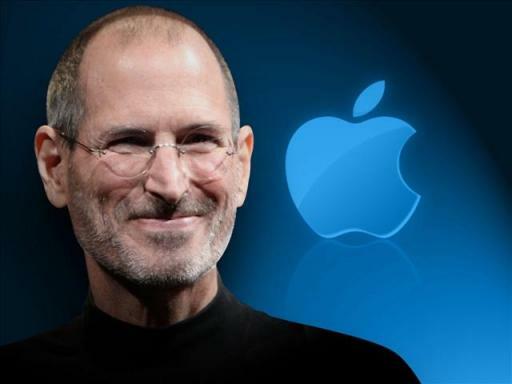 Steven Paul Jobs was an American inventor, visionary, and tech entrepreneur. He co-founded Apple, Inc, and served as its chief executive and chairman. He was also the CEO of Pixar, the American computer animation film studio in Emeryville, California famous for making Toy Story. Although dyslexia made it difficult for him to read, it didn’t stop him from his prolific urge to make a dent in the universe in the world computers, animation films, and telecommunications. American engineer William Redington Hewlett and David Packard founded the computer manufacturing company Hewlett-Packard. At one time, it was the second largest computer company in the world. He also founded Agilent Technologies, Hewlett Foundation, and Public Policy Institute of California. Executive chairman and former CEO of Cisco Systems John Thomas Chambers did not let dyslexia stop him from running the famous multinational technology company that designs, makes, and sells networking equipment. Often people with Asperger’s syndrome find it difficult to get a job because of difficulties in socializing with others and communicating their interests. Bram Cohen did not let his Asperger’s syndrome stop him from becoming one of the top computer programmers in the world by creating a disruptive protocol that changed the Internet. American computer programmer Bram Cohen authored the peer-to-peer protocol called BitTorrent. He also authored the first file sharing program that used the BitTorrent protocol. Essentially, what the protocol does is allow users to transfer huge amounts of information over the Internet. He did not have a learning disorder, but many psychologists consider Asperger’s syndrome a disorder that falls within the autism spectrum. Bram Cohen turned Asperger’s syndrome to his advantage because it gave him a deeper interest in patterns and puzzles than most people have the patience to figure out. Despite difficulties that would have stopped most people in their tracks, these four technology innovators have changed the world in a significant way. What is particularly impressive is that they excelled in a field that requires tremendous study and knowledge to excel in. When you have the sniffles or a sore throat, you might think that it’s time to pay a visit to your family doctor. However, as the healthcare industry continues to change in the U.S., a doctor’s visit can be very expensive and you could end up spending a lot of time in the office without receiving the results you want. Instead, consider some of these alternatives to seeing a primary care physician. There are a growing number of healthcare professionals who offer online tools and resources to diagnose and treat basic symptoms. Curely.co is a site where patients can talk to certified medical staff members about specific health problems and even receive prescriptions for medications if appropriate. These online alternatives are more affordable than regular office visits and can save you time as well. Many retail stores, such as drugstores and supermarkets, now offer another option to see a doctor for your symptoms. The purpose of retail health clinics is to provide a faster and more convenient experience for a patient who has an episodic minor illness. Similar to an urgent care facility, a clinic of this nature isn’t a substitute for regular medical checkups or annual wellness exams. Instead, it is a great option for when you are ill but want to see a provider while you are already at the store picking up over-the-counter meds for your symptoms. You can also use homeopathic alternative remedies to treat your symptoms instead of bundling up and heading out to see your doctor. Many illnesses are viral, so there aren’t any prescription medications that will offer relief. A primary care physician might prescribe or recommend a medication that will help with symptoms, but homeopathic options often provide similar or better results. The main benefit of choosing homeopathic medicine is that is more natural and safer than using drugs. It is practiced throughout the world and remedies will not interact with other conventional medications. There are other types of healthcare providers that can assist in providing relief. If you are experiencing sore and aching muscles, schedule an appointment with a massage therapist who can give a treatment that heals inflammation, releases endorphins to help you feel better faster, and works on both a hormonal and cellular level. 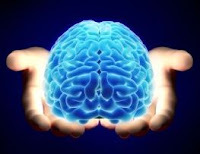 Hypnotherapy is an alternative treatment for chronic pain or addiction. Osteopathic doctors focus on health management through strengthening of the joints, muscles, spine, and connective tissues. A naturopathic healthcare provider will use natural resources, including exercise, nutrition, meditation, and herbs, to heal bodies. The goal of naturopathy is overall balance, which promotes wellness. With so many options available to you, skip the visit to your primary care physician the next time you have an illness that isn’t life-threatening. Of course, anything that is cause for concern should be evaluated by a licensed medical professional. These other options make it easier to find a provider in your area so you can feel better sooner through additional treatments and remedies. Is Your Primary Doctor Up to Date with Modern Medical Technology? The role of the primary care physician is as important as ever in the health of men and women worldwide. They are the first line of defense in preventative medicine. However, it’s important for patients to practice a certain level of due diligence when visiting their go to doctor during their next appointment. The matter at hand is determining whether or not your physician is on the ball regarding the latest in modern medicine. They have an obligation to their patients to be on the forefront of state of the start healthcare, or be in touch with someone with specialized knowledge to fill the gaps. A tremendous level of modern medical theory revolves around the examination of samples. Sometimes the right expert is several states away, requiring samples to be transported. When time is of great importance such as the detection of cancer, the proper handling of these blood and tissue samples is critical. Medical institutions use biotransport and storage services from companies like pbmmi to make sure samples are handled according to recognized standards. The idea of computer systems playing a greater role in healthcare sounds scary, but the honest truth is that software is less likely to make a medical mistake than a human being. 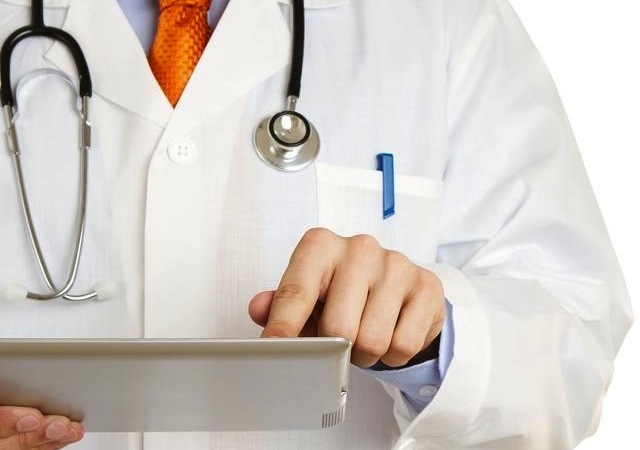 The push for electronic health records is one your physician ought to be embracing with open arms. In fact, it’s the law. Experience is a tremendous asset for a doctor to have. However, medical science changes dramatically from one decade to another. A physician has an obligation to stay up to date on these changes. Don’t be afraid to ask your doctor about what medical journals they read on a regular basis. If you see an unfamiliar commercial on TV for a new drug, ask your physician about it just to see whether or not they’re caught up on the latest pharmaceutical developments. There’s only so much a general physician can keep in his or her brain. 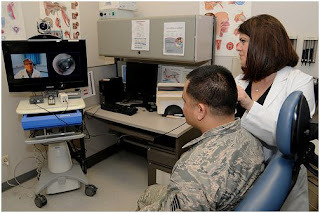 The role of the specialist is to focus intensity on a specific avenue of medical science. These individuals are privy to the state of the art developments in their respective area of expertise. Therefore, it’s important for your regular doctor to be well connected with reputable specialists in the major sections of healthcare. Every year, millions of people are properly treated by professional and knowledgeable general practice physicians. These doctors are often times the first to know if someone is not right, and are tasked with deciding on what to do next. Patients trust their physicians to do what's best, only sometimes the best intentions become fogged by an outdated approach. Doctors must stay up to date on the proven methods to help patients, as well as incorporate technological changes into their practice. Failure to do so goes against the fundamental nature of helping people to be well. So How Does Frozen Donor Egg IVF Work? Have you tried traditional IVF using your own eggs and not had success? Many women in this difficult situation are turning to frozen donor egg IVF. By choosing to use donor eggs from a young woman under 32, you can increase your odds of having a healthy pregnancy. Frozen donor eggs have become an attractive option since the American Society for Reproductive Medicine (ASRM) lifted the experimental label on egg freezing a few years ago. Success rates are now approaching those achieved through fresh donor egg IVF. If you’re considering frozen donor egg IVF, it may be helpful to educate yourself on the following 7-step process of a typical cycle that takes about 6 weeks. After you’ve taken the first step and enrolled in a frozen donor egg program, this will be your chance to ask questions and explore the financial plans available to cover the cost of donor eggs. By viewing the egg bank’s database of donors, you’ll be able to find a donor who suits your individual preferences. You will be able to evaluate a wide variety of donor profiles that reflect the diversity of the United States. The detailed profiles typically include medical history, genetic disorders, fertility history, college degree, employment status, and a few short-answer questions, including her reason for donating eggs. You will even have access to donors’ photo albums to assess their physical characteristics, if desired. In order to prepare the endometrial lining of your uterus for implantation, you will need to take fertility medications, including estrogen and progesterone, for approximately four weeks prior to the embryo transfer. According to Baby Center, an endometrium of at least 7 mm is critical for a successful donor egg IVF cycle. Your doctor will do an ultrasound to measure your uterine lining prior to your transfer to ensure that the optimum thickness is reached. When you are ready, the egg bank will send the frozen eggs to the fertility clinic of your choice via priority overnight shipping. You will receive a minimum of 5 mature eggs, the number deemed optimal to produce one healthily-developing embryo for transfer. Once your uterus is ready for the embryo to be implanted, the embryologist will start the fertilization process. Eggs are removed from the storage vat and quickly rehydrated or warmed. The embryologist will examine the eggs and grade them based on their quality level. Then the eggs will be combined with your partner's or donor’s sperm and incubated overnight. 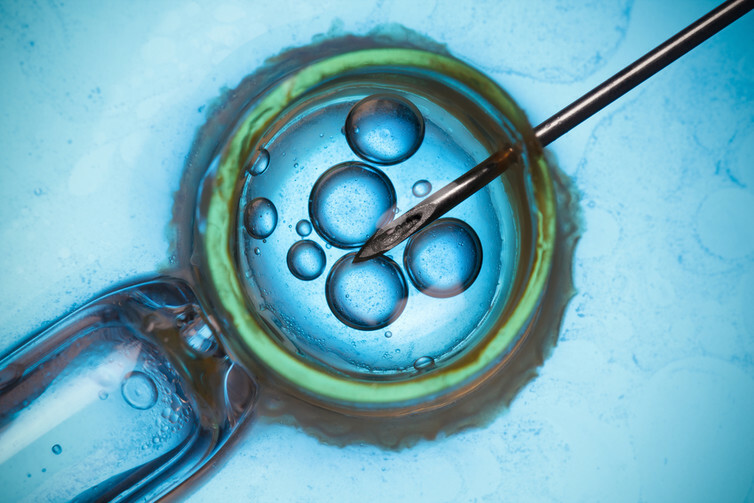 During frozen donor egg IVF, doctors typically recommend fertilizing the eggs using a technique called intracytoplasmic sperm injection (ICSI). With ICSI, a single sperm is injected directly into each mature egg with a needle, instead of allowing sperm to penetrate the egg in a Petri dish. After fertilization, the embryos will begin to develop. Three days after the egg retrieval, some of the eggs that were successfully fertilized become 6- to 10-celled embryos. By the fifth day, some of these embryos will develop into blastocysts with a fluid-filled cavity and tissues that are starting to separate into a placenta and baby. The embryologist then selects the most viable embryo or embryos, depending on various factors discussed with your doctor, to place into your uterus 3 to 5 days after fertilization. The doctor will transfer the resulting embryos into your uterus by inserting a thin tube called a catheter through your cervix. In some cases, there may be more than one or two viable embryos, in which case the additional embryos can be cryopreserved and used for a potential future cycle. Two weeks after the embryo transfer you will receive a blood pregnancy test that measures the level of hCG (Human Chorionic Gonadotropin, also known as the pregnancy hormone) in your system. The clinic will continue to measure your hCG levels until you’re released to a traditional OB/GYN at around 7 weeks. When a woman is told that using her own eggs to get pregnant is impossible, the emotional results can be devastating. But by considering frozen donor egg IVF, her sense of hope and her dreams of having a family can happily be restored. Metabolism is the chemical process your body uses to keep cells alive and your body functioning. To do this, cells need energy that is delivered from the nutrients you take in from food. The type A metabolism craves salty foods like potato chips and tends to have trouble with anxiety. Researchers believe that type A’s burn protein and fats more efficiently than carbohydrates so it’s fine for these types to enjoy dairy, ice cream, cheese, fruits and vegetables, but they should stay away from refined carbs like white bread. Type A metabolisms should try to make sure 50% of their calories come from protein, 30% from fat, and 20% from carbohydrates each day. If you crave sweets, you may have a type B metabolism. To help you fuel your body most efficiently, follow a low-fat, low-protein diet (this means increasing your healthy carbohydrates). Take in more fruits, vegetables, and whole grains and try to get 70% of your daily calories from carbs, 20% from protein and 10% from fat. If you eat dairy as your protein source, make sure to choose low-fat options. Do you find yourself craving different flavors at any time? It’s not an identity crisis--you’re probably just a type C metabolism. In this case, you should aim for a balance of all nutrients and take in 33% of your daily calories from fat, 33% from carbs and 33% from protein. 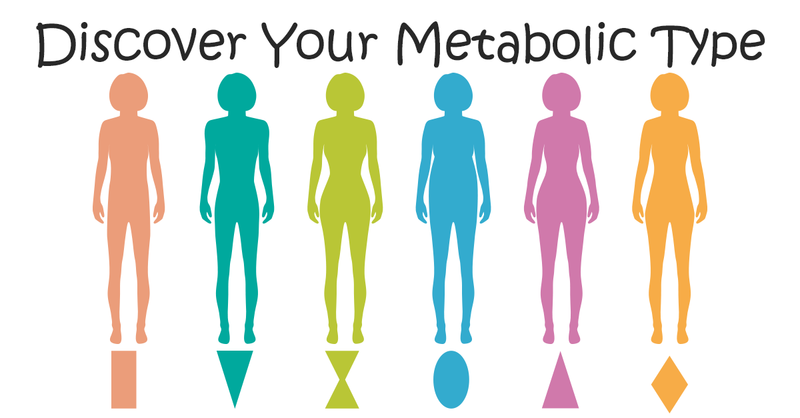 While many quizzes and questionnaires can be found online that deem to determine your metabolic type, the best way to find out what’s happening inside your body on the cellular level is to consider nutrigenomic profile testing. This simple saliva test, provided by Pathway Genomics can reveal exactly what nutritional needs your body has based on your DNA, so you can begin eating what’s right for you—no guessing required. We’re all given a vehicle at birth. How we handle it and care for it in the years to come will determine how long it runs. While some of us may be blessed with a vehicle capable of taking abuse, others may be given one with limited capabilities. But one way or another, how we treat these vehicles will affect the lifetime mileage. This vehicle being talked about is not a car, but the human body. The older we get, the more likely our parts aren’t going to perform as well as they did in years past, not unlike an automobile. It’s therefore important to do what we can to keep ourselves in running condition for as long as possible. Folks in their late-50s and onward have a particular obligation to keep their minds running properly. It’s no secret our thinking starts to get a bit muddled as we get older. Most aged care training courses focus heavily on dealing with declining mental agility among the elderly, a clear indicator of how much brain power influences independence later in life. Studies strongly suggest that reading books on a regular basis can help prevent dementia in adults as they age. While all forms of reading are welcome ways to exercise the brain, it appears that books and other longform writing are best for keeping the mind healthy. The same studies which point to the brain benefits of reading also point to puzzle solving and similar games as a great way to help the mind stay sharp. While we can’t definitively say your favorite bird themed video game is good for the brain, anything requiring critical thinking is likely to count. This includes everything from the ancient game of chess to strategy based MMO (massively multiplayer online) games. The older we get the more we settle into certain grooves of thought. We align ourselves politically, culturally, and socially, and feel confident we’re in the right. The unfortunate side effect is a reduced amount of scrutiny placed on the information we receive. It’s critical to continue applying skepticism to seemingly trusted facts and figures. Otherwise we begin to build inaccurate webs of self-deception in the final chapters of life. Visiting a foreign city is a mentally enriching event at virtually any stage of life. It certainly keeps the mind on nonstop absorption mode, taking in all the exotic sights, sounds, smells, and tastes. Travel as much as possible in older age to encourage a well rounded brain. If you’re financially incapable of globe trekking, or even going out of state, a simple walk around town can invigorate the mind in a similar fashion. The goal is to expose your senses to different things. The benefits of healthy eating in old age are shown to help prevent bone and muscle injuries common among the elderly. However, a proper diet can also help prevent mental deterioration. The right ratio of vitamins, proteins, and complex carbohydrates results in a brain receiving its desired balance of nutrients. Whether it’s Volvo or BYD, every automobile will run longer if well maintained. The same is true for the human body. The better we take care of our personal vehicle, the more miles we’ll rack up before the timing belt breaks.